Official Note: SIA Fastercourse has received support from European Union ERAF fund for participating in international client, partner, investor meetings, conferences, and exhibitions abroad, as a part of startup support program from Latvian Investment and Development Agency. Contract number: IZ-L-2018/31, contract date: 9th of August, 2018. Our story started in April 2007, when three university graduates met to discuss their ideas about e-learning development. All of this resulted in Novitus e-learning solutions (www.novitus.lv) being incorporated in July 2007 in Riga Latvia. Company since then is offering e-learning content development services for local Baltic clients, as well as outsourcing services for international clients in Sweden, Norway, UK, Switzerland and other countries. Second chapter of our story began in 2010 when Novitus e-learning solutions started working with rapid e-learning development projects for its Swedish partners. After 3 years we felt that we are getting really good at it, and we saw the huge value for the client for rapid e-learning development and we started offering e-learning template creation service and rapid e-learning development service to other clients as well locally and Internationally as well. For our international prospects we launched a separate webpage www.lectora-templates.com, we were struggling with marketing ideas, how to promote it, but then came our big break. 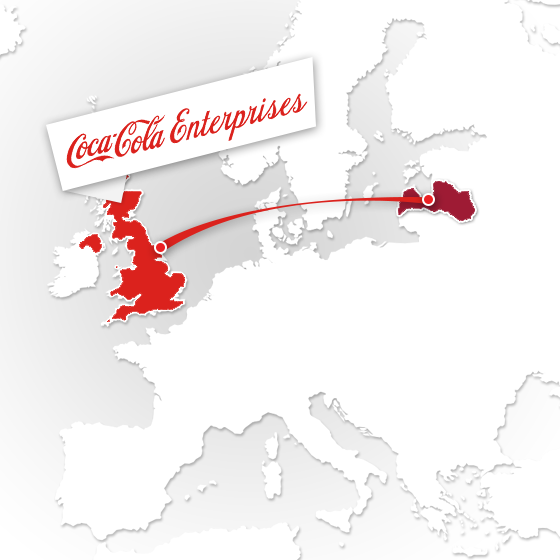 This was a huge emotional boost for us – a small company from Latvia, to work for CocaCola Enterprises. We are very grateful for this opportunity, needless to say, Coke is our drink of choice in corporate parties, after beer of course :). A year later we finally launched FasterCourse as a separate company, and we are now offering our accrued knowledge in the industry of creating templates for Articulate Storyline, Lectora and Adobe Captivate to the clients worldwide. Currently our marketplace features several dozens of e-learning templates: Articulate Storyline templates, Lectora templates and Powerpoint templates, we are also offering Adobe Captivate templates as a custom built product. As we told before FasterCourse was built by Novitus e-learning solutions, you can read more about us on our corporate website www.novitus.lv. Fastercourse client support is done by the same people who built the templates and marketplace. Therefore you will receive help and advice from the source, no robots involved :). We are offering either email or online support via Skype, Google hangout or other tools, depending on the product you choose. Don’t be a stranger let us know if you have any questions? Or you would like us to help with some e-learning development? You are very welcome to ask questions before making purchase decision.